In the quarterfinals of the CIF Division I NorCal Tournament, boys basketball upset top-seeded Heritage 59-49. After beating #1 seeded Dublin in the same tournament last year, the circumstances of this game felt eerily similar. 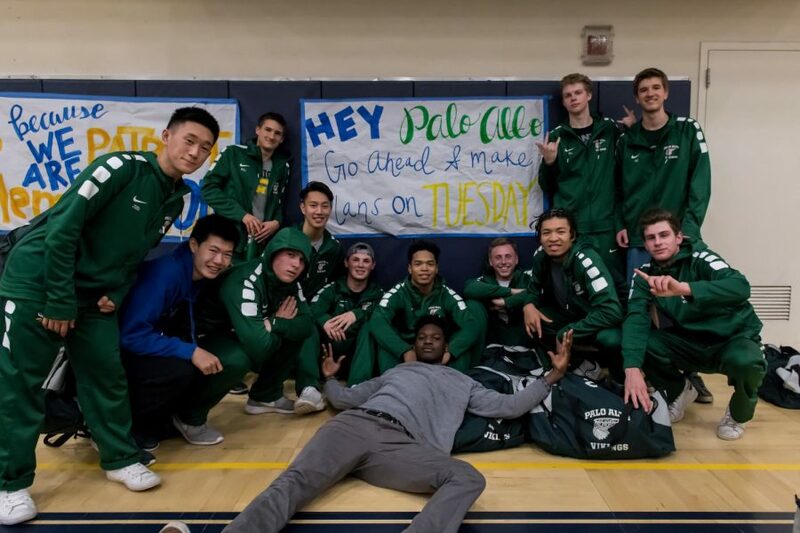 Coming off some impressive victories, Paly headed into the top-seeded team’s house on a Saturday night. But last year, the Vikings were an unproven force looking to knock off one of the state’s best teams. This year, they are experienced and hardly felt like underdogs. “We feel like we can compete with any team we come across. We knew we could go into their house and beat them,” Max Dorward (‘18) added. While the circumstances resembled last year’s game, the game itself played out completely differently. Last year against Dublin, hot shooting early helped them open a massive lead, and down the stretch they struggled to close out on their way to a narrow victory. Tonight, they trailed narrowly early, sparked by hot shooting from Heritage but solid execution by the Vikings. Heritage lead 27-22 at half. Paly came out in the second half with energy and aggression. A three by Spencer Rojahn (‘18), lay up by Dorward, and a post finish by Bryant Jefferson (‘18) on the Vikings’ first three possessions forced a timeout from Heritage. Suddenly the game was tied at 29 a piece. The momentum in the game had tangibly shifted. Heritage became predictable on offense, resorting to isolations by point guard Ezra Manjon and forward Jonathan Ned. Paly played solid defense, forced turnovers, rebounded, and methodically executed on offense. While their lead never grew to double digits, they held control of the game the entire second half. With 56 seconds left in the contest, Heritage hit a three to cut the lead to just three points. After another methodical possession, Will Schlemmer (‘18) finished a lay up to extend the lead. Heritage, forced by draining clock, fielded a rushed possession and missed a desperation three, and defensive rebound was cleaned up by Schlemmer. The Vikings hit the necessary free throws and closed out the 59-49 victory. 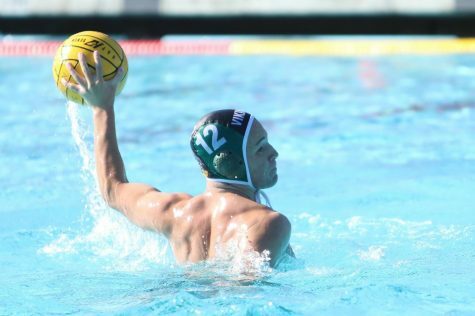 Paly, fielding a roster filled with returning seniors, out executed Heritage on Saturday night, a far cry from the magical run last year that danced all the way to the NorCal championship. This team is experienced, thoughtful, and hungry. The next step in the tournament is Menlo at home on Tuesday. Menlo, who had their own tournament victory on Saturday, will come into the game with a lot of confidence. Menlo beat Paly in the finals of the Burlingame Tournament way back on December 8. “We’ll enjoy it tonight for sure but tomorrow we shift our focus towards revenge on Menlo,” Wulbrun said.